The Member must first be set up on the booking system with a user account (see Creating Users for more details). Go to the Members Tab for the relevant Organisation. Use the "Find Members by..." search box in the top right of the Members table to find the Member. Go to the Documents Tab for the relevant Organisation. 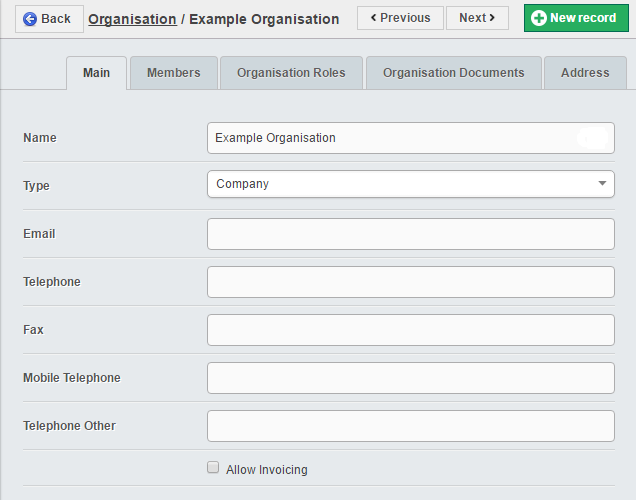 Click " Add Organisation Document"
Provide a Name for this document to be listed as within the system. If you wish this document to be visible to all Organisation Members, tick the checkbox. Attatch the Document using the File box on the screen.